Solavore has upgraded the reflectors that come with their solar oven/reflector package, so when they asked if I’d test them out of course I had to give the new reflectors a test. 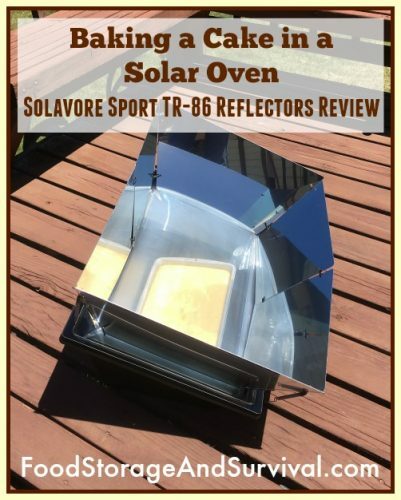 Last time I shared a review of the Solavore Sport solar oven, I shared all the ins and outs of the setup and use, plus showed how well it pasteurized water, cooked dinner, and sort of baked a cake. It was the middle of summer, but I wasn’t using the reflectors. 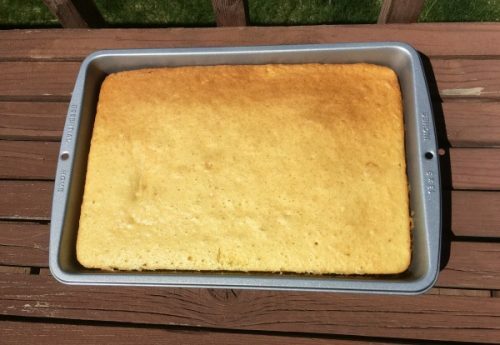 Now it’s spring, a cool 60 degrees F, and breezy and I decided to try that cake out again. Only this time I used the new TR-86 reflectors. What’s so great about the new TR-86 reflectors? They have a super shiny mirror-like finish to them, reflecting 86% of the light that hits them. 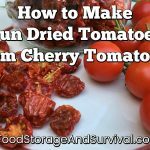 That’s more light and more heat that’s going into your oven. So you can bake things like bread and cake even in the winter time. Take a look at the new reflectors next to the ones that previously came with the Solavore Sport. The reflectors come with a blue film on them that needs removed before using them, and a nylon carrying bag to keep them together and safe when they’re not being used. The reflectors fit nicely into the oven when it is not in use. To use the reflectors, simply open them up, and attach them to the tiny holes in the corner of the lid with the spring hooks. Super easy. Because they attach to the lid, it’s easy to get the oven open and put your food in after pre-heating it with the reflectors on. Just tip the whole lid/reflector assembly forward and put your food in the oven. Then snap it shut with the wire latches and you’re baking. The oven had pre-heated to just over 300 degrees F when I put the cake in. I’m doing a standard cake mix so I can easily judge how well it turns out since I know what a cake mix looks like when I bake it in my conventional oven. When we baked the cake in the summer without the reflectors, it took 2 1/2 hours! Even though today was cooler and breezy, those TR-86 reflectors got the cake baked in just 45 minutes! That’s only 10 minutes longer than a conventional oven. 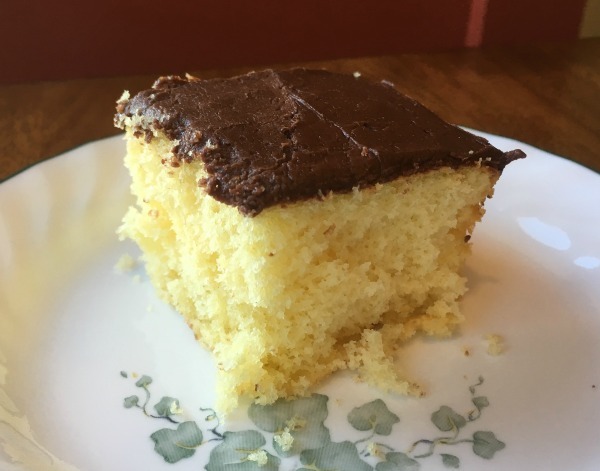 Because of the quicker, hotter baking time, the cake rose nicely instead of being dense and flat. Total win. One side was slightly browner which I’m attributing to the angle of the sun in the sky. Not a problem at all though–the whole cake was done and delicious. 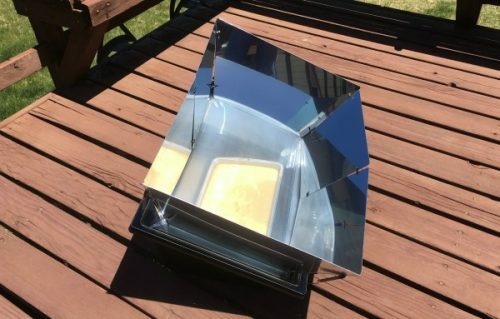 These reflectors come standard with the Solavore Sport oven/reflector package and are also available separately if you want to add them to an oven you already own.